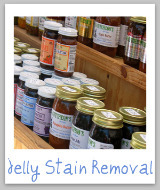 Peanut butter stain removal techniques are essential if you've got kids, with all that peanut butter that seems to get everywhere when you serve them a quick lunch of PB&J. 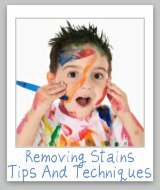 The thing about peanut butter stains is not so much a color it leaves behind, but instead that greasy film that can be hard to remove from your clothes, upholstery or carpet. 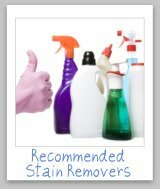 Therefore, the key to getting out peanut butter stains is to cut that greasy film. 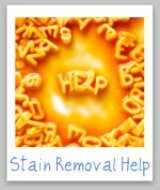 As with all greasy stains make sure you do not dry the clothing in the dryer, or apply heat, because this will only help set the stain. 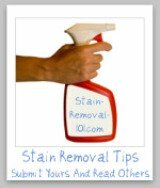 Below are step by step instructions for peanut butter stain removal, to get those stains out. Step 1: Scrape off any excess peanut butter from the fabric. 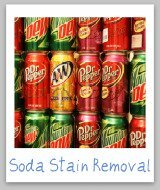 Step 2: Pretreat the stain with a laundry stain remover, or in the alternative dishwashing liquid, to break up the oil stain. Step 3: Launder in the hottest water the fabric will allow to get out the oil stain. 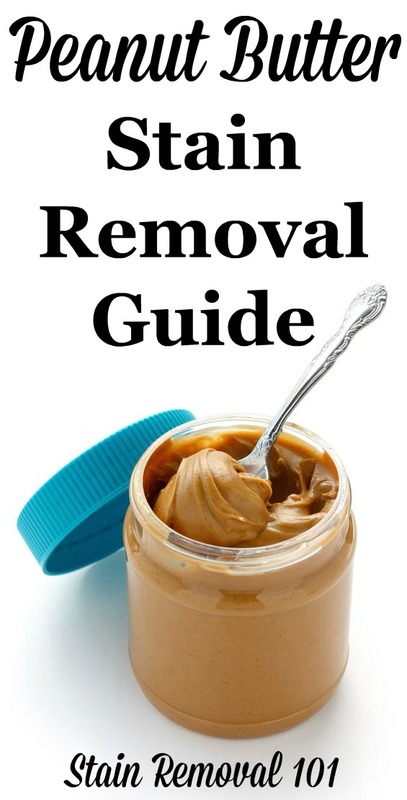 Step 1: Scrape off any excess peanut butter from the upholstery, being careful not to smear it further or grind it into the upholstery. 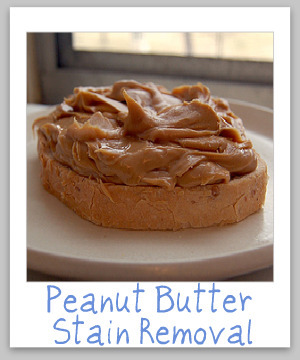 Step 2: Use a dry cleaning solvent, and sponge the stain from the peanut butter with a clean white cloth. Step 4: Repeat steps 2-3 until the peanut butter stain is removed from the upholstery. Hint: Be sure to get the upholstery only as wet as necessary to remove the stain from the peanut butter. 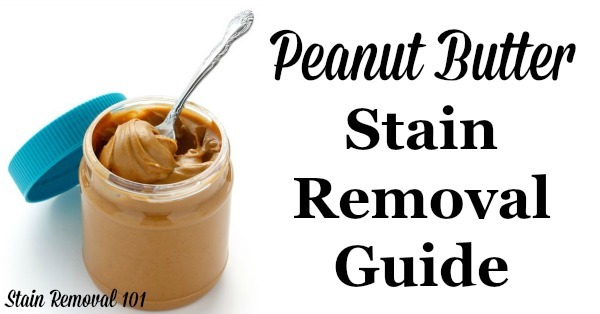 The instructions for removing stains caused by peanut butter from carpet is the same as for upholstery. 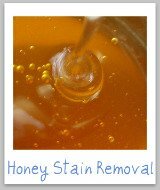 However, if you don't have luck with this stain removal method above you can also do something additional with the carpet stain, which is to mix a solution of two cups cool water, one tablespoon dishwashing liquid, and one tablespoon of white vinegar, and use this as a stain removal solution. 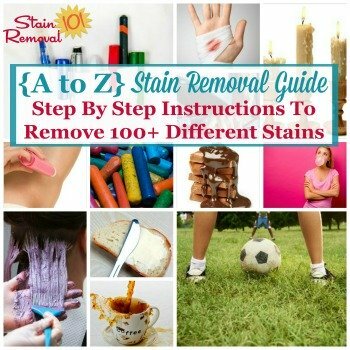 Once you use this solution to remove the stain, you will need to get plain cold water and a new white cloth and sponge the area to remove the cleaning solution, and then blot dry.